As the holidays approach, we encourage everyone to consider their relationship with things. If you are going to purchase gifts for people, how can you make the gifts special? Some of our most favorite gifts include a nice experience like a ticket to a concert, a plant, or a special artisan-made object. Below are some particular brands and products we love, that we think would make for perfect gifts for either yourself or a loved one (this holiday season and beyond). Appropriate for all genders and a mix of ages. Showcasing natural products made in the mountains of Oaxaca, Relato Nativo has become a staple in our skincare regimen. We’ve tried almost all of their products and would recommend every single one we’ve tried. What’s better for y’all: the products are now being stocked online via our friends at Beautyscapes.co. If you join one of our workshops in Oaxaca, it’s likely you’ll receive one of these face cups in your welcome gift bag. And, luckily for everyone else, Lanii is now selling the ceramic cups on their website. Started out of a love of all things Oaxaca, new brand Miha Made features products from both emerging designers and traditional artisan makers. We love this market bag: made of agave intel fiber in a unique pink twist. The Our Collectivo team works with artisans groups throughout Mexico, sourcing an impressive collection of textiles for both home and body. We particularly love their collection of rebozos and pillows. While our focus is to host workshops, we have a growing collection of unique vintage and handmade textiles from the places available for purchase. All of the textiles you’ll find are from places where we host workshops. 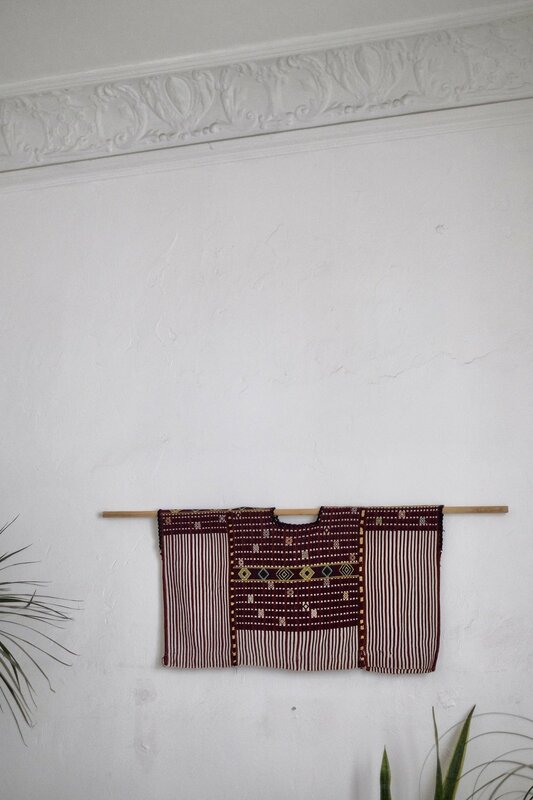 You’ll find huipiles and cortes from Guatemala, rugs from Morocco and Oaxaca + more. While we love all Luna Zorro creations, the agave pillow set is our favorite. Woven with cotton fabric in bold, solid colors, these pillows are the perfect complement to almost any space. A new artisan collective, Magda Made works with groups of makers throughout Colombia, bringing you woven hats, baskets and bags, towels, ceramics and more. Our current favorite: their pajaro bags.